Brian was born in Myrtleford. He worked for three years at the State Savings Bank, after which he started work as a sign writer in Melbourne and later on in Bright. He studied Art in Melbourne under Shirley Bourne, protégé of Sir William Dargie. 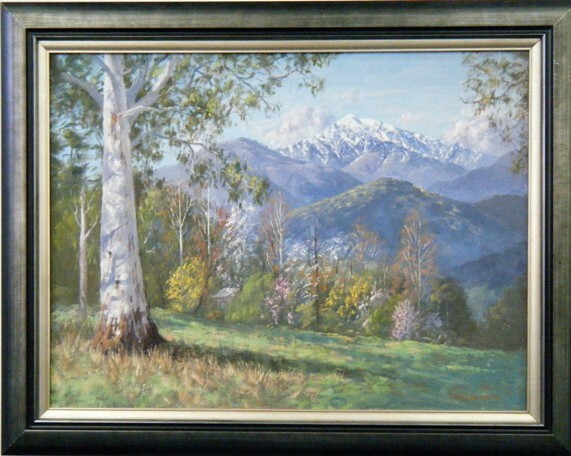 Brian has won the Bright Art Prize twice and the Albury Art Prize twice. Two of his paintings are in the Bright Art Gallery permanent collection. Please use ‘donation’ as the reference.